A Boutique Conservative Congregation Where Everyone Counts! 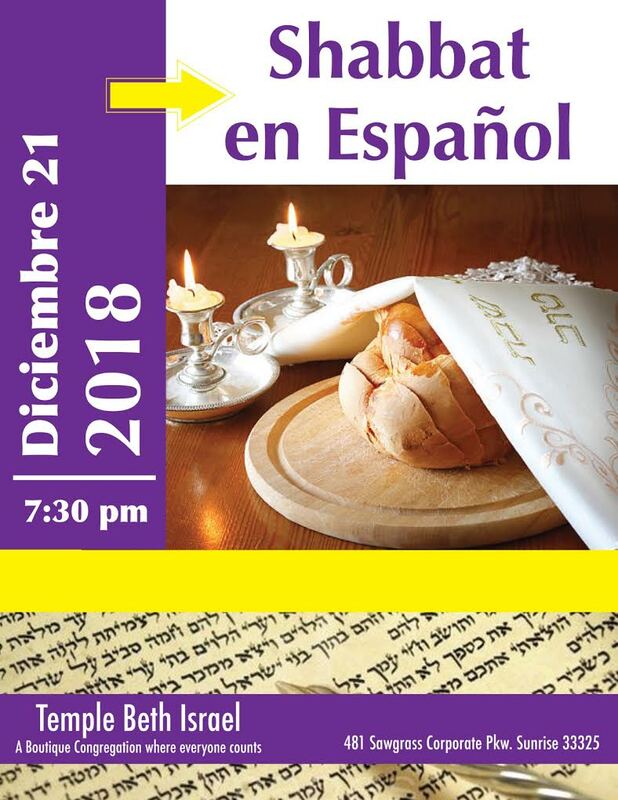 Join us for our monthly Shabbat in Spanish. Come and pray in your native language or just to brush up on your Spanish! Copyright © 2019 Temple Beth Israel. Web hosting provided by the United Synagogue of Conservative Judaism.